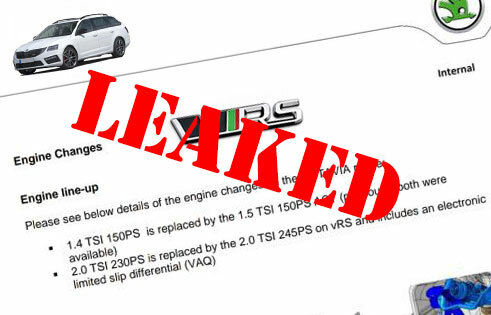 In the quest to upgrade my 2015 Skoda Octavia VRS diesel to a shiny new 245BHP petrol wagon, I have uncovered some very interesting news (thanks OvRSOC) about the new MY19 “model year 2019” changes to my favourite performance family mover. The engine lineup for the petrol VRS will see all variants pushed to 245PS, as seen in the limited edition 245PS run last year. Skoda will also make standard the electronic limited slip differential (VAQ) as seen the in the special edition 245 and 230 models before it. With the extra power on tap the differential is certainly a welcome change however addition of a petrol particulate filter (to meet EU6.2 AG emissions standards) might be a little worrying for those rightly concerned about their use in diesel engines (DPF filters) within the VAG lineup. 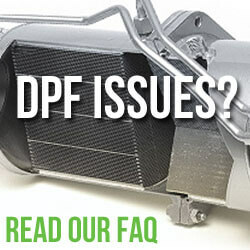 More on DPF filters here. This new petrol particulate filter, or OPF, works much like a DPF by trapping exhaust particulates which are then burnt off during normal driving. However, my research suggests that these filters will not block and are seemingly “maintenance free” due to the higher exhaust temperatures seen in petrol engines. This could mean the filter lasts the lifetime of the car. Whether this is the case is yet to been seen as the uptake of the OPF or GPF is still quite low. The new MY19 model will also see the TSI model opt for a single exhaust outlet, like its diesel counterpart. I for one am very disappointed, my diesel VRS sports only one exhaust exit, leaving the “fake” tip unmarked without a trace of exhaust buildup. This is a tell tale sign for those looking to spot a diesel from a petrol model. This will come as great news to manufacturers of aftermarket exhausts such as Miltek and Scorpion but these have proven to be quite pricey – but sh*t me they sound good with a DSG transmission (queue the fart noises). … if there is one?! We’ve been hearing on the grape vine that that Skoda will cease to offer a diesel VRS due to them being unable to make the engine meet stricter emissions standards. 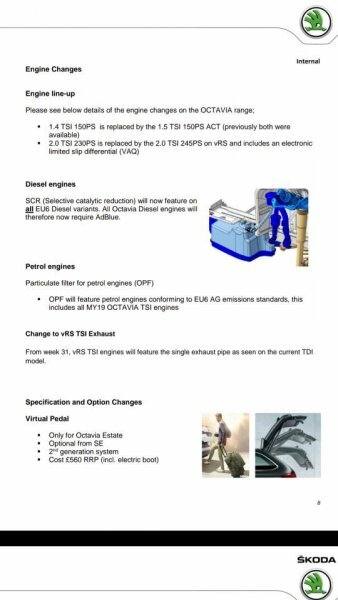 If they do offer a MY19 diesel VRS it will unfortunately require AdBlue due to EU6 standards now requiring ALL diesel models to be equipped with SCR (Selective catalyic reduction). 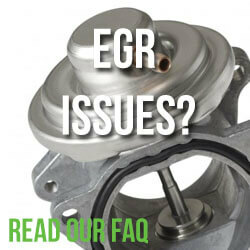 Until now the diesel VRS 2.0 184 was able to sidestep this requirement due to its low emissions footprint. This left the previous model year diesel in a great position for owners as they A. weren’t affected by the VW emissions recall and B. Did not require AdBlue. We understand that this is for the better and will help reduce diesel emissions but if they are stopping development of diesel engines going forward they should just let it die with the new model year releases. Does anyone really want another dieselgate for euro 6 diesel engines? Will this change my decision to wait for a MY19 VRS? If it wasn’t for the rumour that the new MY19 VRS will see the full digital dash (virtual cockpit) as seen in the likes of the Golf R I would have already secured a current model 245 petrol DSG VRS in exchange for my oil burner. The move to a single exhaust and the petrol particulate filter are both concerning from someone already financially scared from a particulate filter failure and dismayed at his fake diesel exhaust tip. Until the changes are confirmed for the MY19, which should be quarter 4, we’ll just have to hold out. Maybe, just maybe Skoda will have an ace up its sleeve. What do you think about the MY19 VRS? Will the changes have you waiting for the Hybrid MK4? Will you buy a secondhand MY18 instead? Lets hear from you in the comments below. Skoda reveals the updated 2017 Octavia MK3 facelift but whats changed?